Justin - This feels nasty. I bought a sample of this and didn’t like it at all. It isn’t very moisturing and my face felt like it had a layer on it. It did not feel nice. After a few hours I washed my face. I didn’t like the whiteness either. Not a nice product. I won’t be buying it. Customer Care: Hello, and thank you for sharing your experience with us. We're sorry this moisturiser wasn't a fit for you. Please contact a member of our Customer Care team, who can assist you with a possible alternative. Bought this product to use as a moisturiser for my sensitive, slightly dry skin. The cream is pleasant to apply, and it's nice that it contains SPF. However, I would not recommend it as a moisturiser, which is what it is marketed to be. It left my skin feeling very tight and dry even when applying several layers. I continued using it thinking it might change over time, but now four weeks have passed, and my skin is constantly flaky, even if I use the Resist serum underneath! Disappointed and will not buy again. Love this SPF, I use it on top of my moisturizer. When putting it on my face it does leave a whitish cast but only for a few seconds, then it disappears. Also it is a great base for my foundation. I really like this SPF Moisturiser. I have combination skin, and although it is richer than I would usually use on my t-zone, I don’t feel like it makes my oiliness any worse. It’s very gentle, and great around the eyes too. 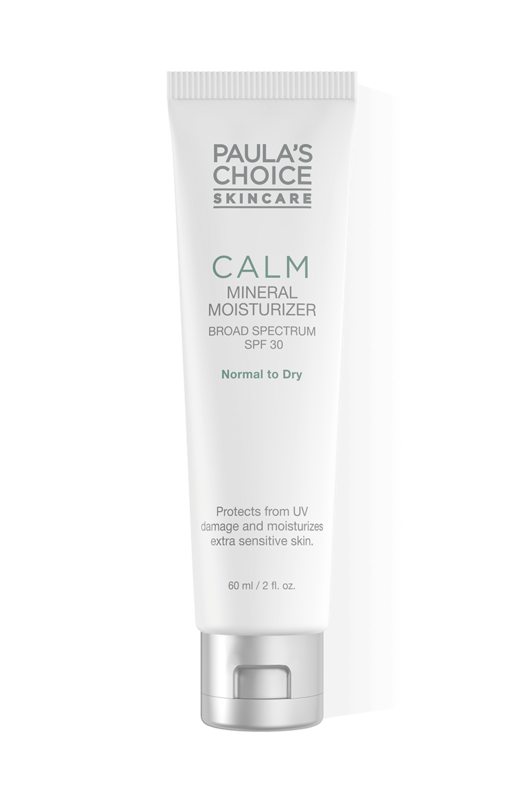 It’s not the only Paulas Choice SPF I use but definitely one of my favourites. Strange, but it leaves my skin very dry, even flaky by the end of the day. I have a combination/normal skin and have never any similar problem before (not even with AHA or BHA). A thick cream but absorbs well and quickly. First, my skin feels nice and soft. But in few hours makes my skin itching and by the end of the day, my skin peels off in tiny flakes on my cheeks and even on my forehead (which is slightly oily). This happens every day since I am using it, for over a week. I did not change anything else in my routine so it seems this product cause the problem. Customer Care: Hello K, Thank you for sharing your experience with us. We're sorry to hear this didn't work as expected for you! Please contact a member of our Customer Care team, who can assist you with a possible alternative. I ordered this, as, during the colder months, my skin, in particular my cheeks can feel a little dryer. This made my T-zone feel dryer and my cheeks feel even dryer, and I have a combination skin, so I don't see how this would work for someone with truly dry skin. It made my cheeks feel rather tight and uncomfortable. It did nothing to reduce the reactive redness I get on my nose, especially in colder weather. It is an expensive product, so I am a bit disappointed. I liked the idea of a non-tinted sunscreen/moisturiser for convenience that I could wear all year round on my face, neck and ears, but I don't know if i will be able to continue using this due to the tightness. It would also be unsuitable under makeup, I feel. An expensive mistake! Customer Care: Thank you for your review. Although this is not a common response, we do understand that each customer is uniquely different in how they will respond to products or ingredients. Please contact our customer care team to help you find an alternative product. The only mineral non-nano sunscreen, that isn't tested on animals, nor has irritating fragrance in it. I searched far and wide to find one and absolutely love it. It needs to go on a clean and moisturized skin, as it can otherwise feel a bit dry and tight. It's not drying in itself, but nor it is massively moisturising. I dab my face with a serum before applying it and feels fine, no white cast either. Good job PB. I am very disappointed with this product. I do have very dry and sensitive skin with a bad case of Rosacea but I never expected that anything from the Calm range would actually cause my skin to flare up and flake like this does! I have stopped using it as it was terrible under my makeup and made my skin look weirdly scaly and my makeup just wouldn't stick. Horrible! I really like the formula on this as far as texture goes and it does a good job in keeping my dry skin hydrated during the day. I have also noticed the redness around my cheeks have improved a little bit but it's a very subtle difference. I think if you were to pair it with the serum from this line you would get better results in terms of redness and that's what i originally had in mind but I just can't get passed the intense white cast this leaves on my skin, hence the 4 stars. I'm a very pale lady but I could still see this sitting over my skin and due to that I felt like I had to spend more time blending than I normally would otherwise I would end up with white streaks or patches here and there. It's such a shame because the formula is actually quite good and it's the first moisturizer I've used that hasn't broken me out (FYI I am someone who suffers from a dry and breakout prone skin. I don't have rosacea but my skin is very sensitive and easily irritated). For now I'm just using this under my makeup since you can't see it under the foundation. I know certain people don't mind the white cast and some actually like it and for those I really recommend this moisturizer, or if you just want something to use under makeup I find this does a very nice job at that too.